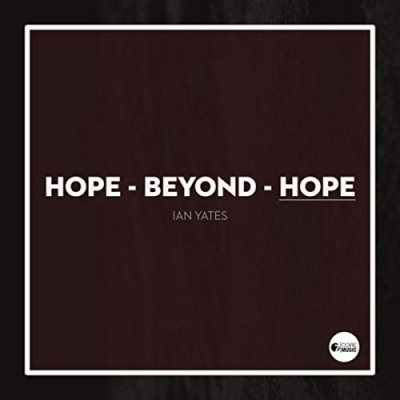 Ian Yates, a worship leader and songwriter from Liverpool, UK, has released his new single 'Hope Beyond Hope' via 7Core Music. The third single in this series from Ian Yates delivers a blistering composition that's guaranteed to make you move both inside and out. It follows on from the heavier 'Belly Of The Beast' which received a 10/10 review from Tony Cummings at Cross Rhythms. At just 2 minutes 31 seconds it's a jam packed release full of imagery and energy, setting the listener up for the mini album 'Deconstruction Vol 1' due for March 19 release. June 2012 saw the release of his highly acclaimed second album entitled 'Good News' his first release on 7Core Music. Ian's 2nd album on 7Core 'DNA' was released in November 2014. It reached number 5 in the UK Official Christian and Gospel album chart, and won contemporary album of the year in NFN's 2014 annual awards. September 2016 saw the release of Ian's 3rd 7Core album release 'Awaken To Love' to glowing reviews. Produced by Trevor Michael and recorded at Martin Smith's 'Bones Studio', the album features the number 1 single High Wire (co-written with Nick Herbert), No Longer I (co-written with Matt Redman and Sam Blake), and also a cover of the Beatles classic 'All You Need Is Love'. "I feel like I've got my sound," says Ian. "I hope there's a depth to it, that it's not just nice songs but a journey that connects people to God. My heart has always been to take the music outside the church walls. I've always aimed to make the kind of music that can be given to someone who feels far away from God or who is not a Christian. I want to create something that might help people encounter God's love and goodness."